We would like to emphasize that the monthly newsletter can not live without the contributions of FlightGear users and developers. Everyone with a wiki account (free to register) is welcome to contribute to the newsletter. If you know about any FlightGear related news or projects such as for example updated scenery or aircraft, please do feel invited to add such news to the newsletter. 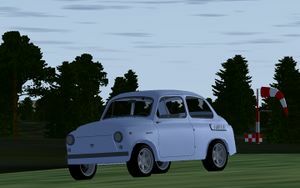 The 965 by ZAZ, the main automobile manufacturer of Ukraine, is now available for Flightgear. Available in DrivingGear development repository. New refuelling truck for the 777: this will refuel the aircraft at a rate of approximately 1000 gallons per minute, so refuelling might take quite some time! 747-400: the 747-400 now has a much improved FDM according to NASA documents leading to a much more realistic reaction, especially in the roll and yaw axis. The AI team makes FlightGear more realistic, colorful and lively every month. 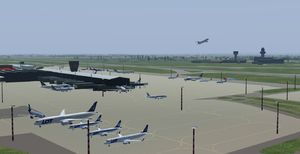 You can support the important development of Interactive Traffic and contribute at the FlightGear AI forums. New custom scenery for some areas of Argentina has been created from OpenStreetMap data polygons, and Osm2city goodies (roads, buildings, etc.). Check out the Suggested custom scenery page. Since early December 2010, FlightGear has an official Facebook page. If you have a Facebook account please feel free to join the page. Since November 2011 there is a FlightGear page on Google+. If you haven't done so already, please add us to your circle and stay up to date on the latest FlightGear news, cool screenshots and release info. In January 2018 the @flightgear_sim Instagram account was brought back to life. If you've got nice screenshots to be featured, feel free to contact the maintainer. Flightgear has also a sub-forum on flightsim.com - just like the commercial flightsims. It is an opportunity to showcase what FG can do, get people curious and answer any questions they may have with regard to the software or the project. If you want to participate in the screenshot contest of April, you can submit your candidate to this forum topic. Be sure to see the first post for participation rules. For purposes of convenience and organization, after all the entries have been submitted, a new forum topic will be started containing all shots in an easy-to-view layout. The voting will then take place there. Once the voting has finished, the best screenshot will be presented in the Newsletter edition of April. 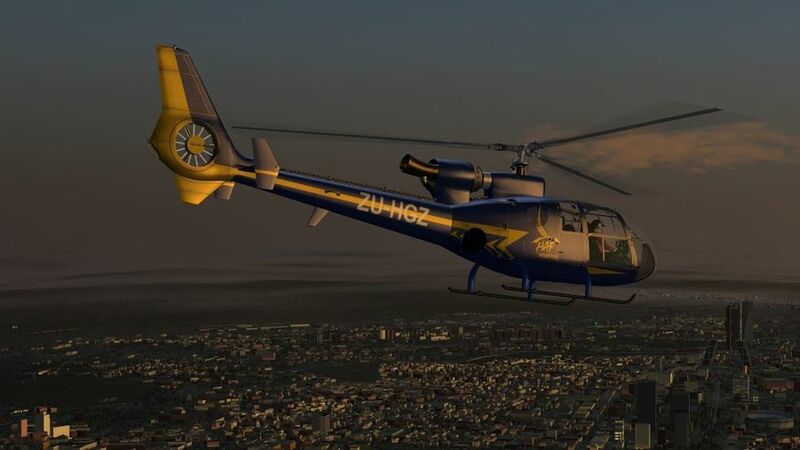 Thanks for reading FlightGear Newsletter March 2019! This page was last modified on 4 April 2019, at 05:51.